For once, some search terms yield no results. For example searching for "third" yields no results, however the term "fourth" works properly. Both words exist on the forum. This is something that I can confirm, however, I'm not sure if it already was an issue in Vanilla 2.6. The second bug has something to do with highlighting of the search terms. Highlighting in the posts' body seems to work (if the preview displays correctly), however, it doesnt if the search term occurs in the title. "third" in fact is a stop word while "fourth" is not. That the found word in the title isn't highlighted is an obvious bug. The last point has been reported on GitHub, but that description needs some more facts. 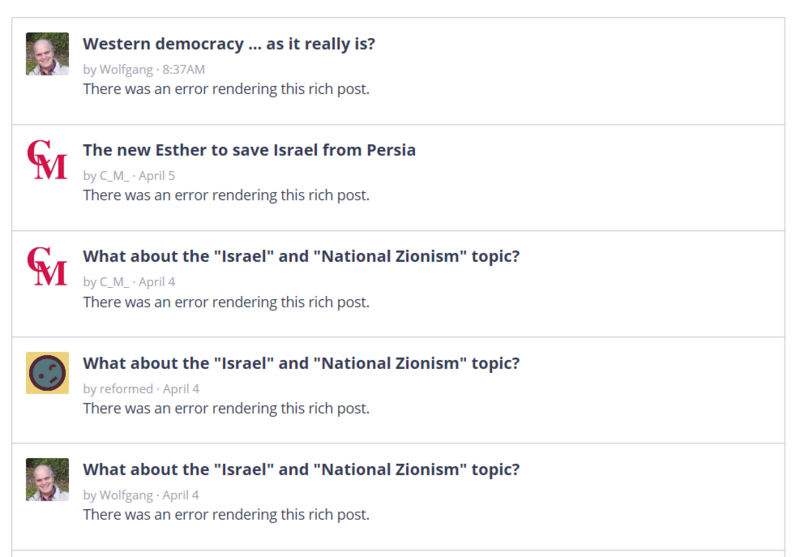 From what I can tell, that problem comes up for every post which has been made with the Rich Editor. Since it cannot be recreated on this site, it might be already fixed and this fix would be included in the next result.